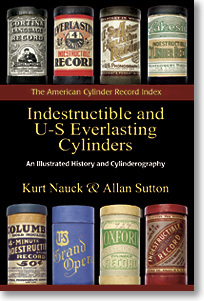 For a detailed history of U-S Everlasting and its complete output, with 24 pages of color illustrations, be sure to check out Indestructible and U-S Everlasting Cylinders: An Illustrated History and Cylinderography, available from Mainspring Press and many major libraries. 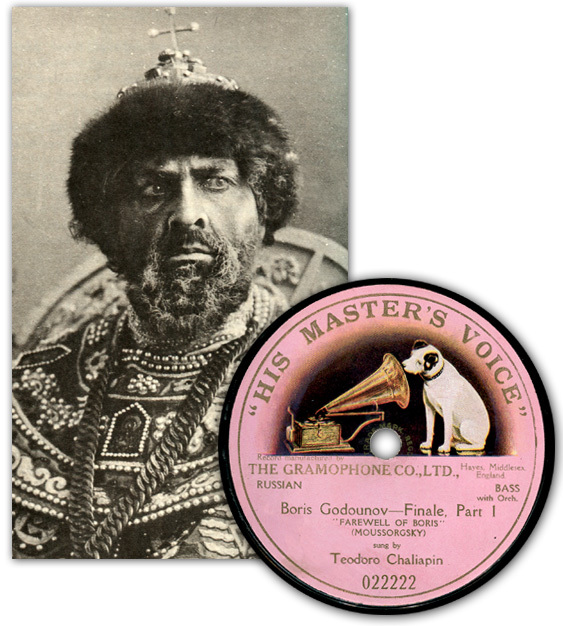 Chaliapin performs the roles of Boris, Pimen, and Varlaam, in the Rimsky-Korsokov revision of Mussorgsky’s original work. Discographic data are from the Gramophone Company and Victor Talking Machine Company files, courtesy of Drs. Alan Kelly and John R. Bolig. For a history of early attempts at symphonic recording, see A Phonograph in Every Home and Recording the ‘Twenties, both available from Mainspring Press and many major libraries. Thomas Kraemer’s spring-loaded tone arm was featured on Hawthorne & Sheble’s Star phonographs beginning in 1907. 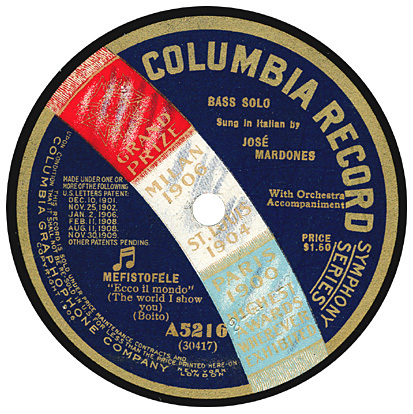 A key feature was a small coiled spring that was said to propel the reproducer, thus supposedly skirting Victor’s Berliner patent, which specified that the record groove served that purpose. The courts weren’t swayed by that argument, finding the spring was too weak to serve any real purpose. Victor eventually forced Hawthorne & Sheble into bankruptcy, over unrelated patent-infringement claims in the Starola enclosed-horn machines, in 1909. There’s much more on Hawthorne & Sheble in A Phonograph in Every Home, available from Mainspring Press and many major libraries. (Top) “Tillie’s Punctured Romance” featured a young Charlie Chaplin and was one of 1914’s biggest silent-movie hits. Caruso hamming it up for the Universal camera crew and 1915’s version of the Paparazzi, from Motion Picture World (March 13, 1915). We have no idea whether the close-up of his “vocal organs” has survived.